Solar Panels, by their nature, are a complicated technological wonder, so it is understandable that a lot of the solar panel jargon will go over the heads of a normal consumer. But it is a common belief that to ensure a product is right for you, and obtain the best possible price on solar panel installation, it is essential that you have an understanding of what common solar panel terms mean. Below we will run through some of the most common solar panel jargon you are likely to hear when considering a solar panel installation. 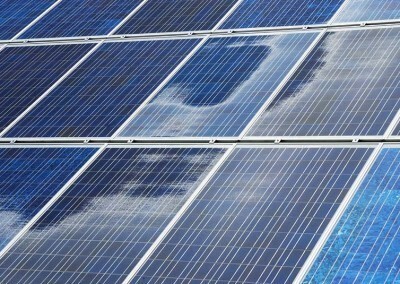 Amorphous Solar Panels are a type of photovoltaic panel, but unlike multicrystalline and monocrystalline cells, they are not made from crystalline silicon. They are made by spraying a thin layer of amorphous silicon on to a backing material. Using less silicon than crystalline cells means they are cheaper to manufacture, are lighter and more flexible, but currently, amorphous solar panels aren’t as effective as crystalline photovoltaics. Active Solar refers to using a collector, such as a solar panel, to collect the sun’s energy and convert to electricity or hot water. Solar thermal and solar photovoltaics are forms of active solar. A Drain-back system is integrated with solar thermal heating, and its purpose is to drain the solar panel fluid into a storage bottle when the pump is turned off. This prevents damage that may be caused to the system by boiling or freezing. An Energy Performance Certificate (EPC) is a rating system to determine the energy efficiency of a property or building, with ratings from A (very efficient) to G (inefficient). Evacuated Tubes are a type of solar water heating panel that collects the sun’s energy to heat water within the tubes. The Export Tariff is a payment provided by your energy provider for each unit of electricity you export back in to the grid. You are effectively being paid for feeding excess electricity back on to the grid, which can then be sold to other consumers. Currently (up until 31 March 2016), the export tariff is 4.85p/kWh. If a smart meter has not been installed, the export tariff is deemed as 50% of the total energy produced by your solar power system. The Feed-In Tariff is a government backed scheme that provides a fixed rate for every kWh your solar panels generate, regardless of whether you use the energy yourself or export it back on to the grid (export tariff). Rates are determined by the size of your system and the EPC rating of your property, with more energy efficient buildings receiving a higher tariff rate. 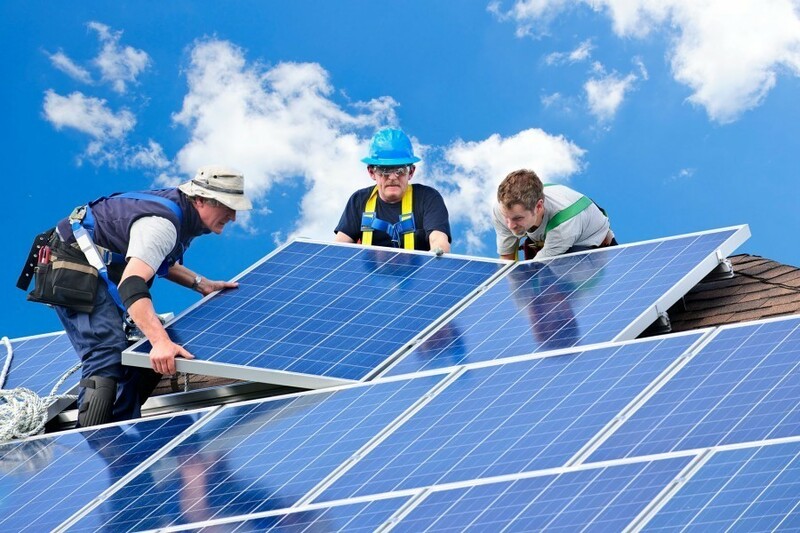 What are Free Solar Panels (Rent a Roof Scheme)? Free Solar Panel schemes involve a company paying for the cost of installing and maintaining solar panels on your roof. The property owner benefits from the free electricity (or a percentage of the electricity) generated, and the installer keeps the Feed-in Tariff profits. 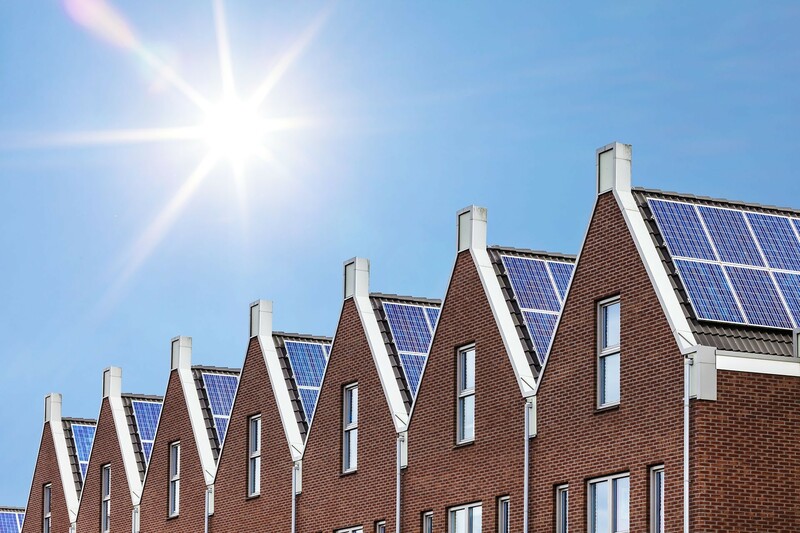 In most circumstances, you will only be eligible for free solar panels if your property matches certain criteria for effective solar power generation, such as a southerly facing roof free from shade. A Solar Inverter (also known as a PV Inverter or Solar Converter) converts the variable direct current (DC) output from photovoltaic solar panels into alternating current (AC) that matches the electrical grid, and can be used for domestic appliances. kWh stands for kilowatt hour, which is a unit of measurement for electrical energy. A higher kWh system will produce more electricity than a smaller system, when both are at their kilowatt peak (kWp). kWp stands for kilowatt peak, which is the unit of measurement for the maximum amount of power a photovoltaic panel system can generate. Microgeneration refers to the generation of electricity or heat on a small scale (typically for domestic use) using renewable sources that do not deplete fossil fuels, such as solar panels or small wind turbines. What is the Microgeneration Certification Scheme (MCS)? The Microgeneration Certification Scheme (MCS) is a UK recognised quality assurance scheme which certifies microgeneration technology that produce electricity and heat from renewable sources. The scheme is supported by the Department of Energy and Climate Change. It is a requirement to use both MCS certified products and installers in order to qualify for the Feed-in Tariff (FIT) and Renewable Heat Incentive (RHI) schemes. What are Monocrystalline Silicon Cells? Monocrystalline Silicon Cells are one of the most effective and expensive forms of photovoltaic panel available. The cell is cut from singular crystals of silicon, and are made from the highest grade silicon. Monocrystalline Silicon cells have a long life, with many installers providing a 25 year warranty. What are Multicrystalline Silicon Cells? Multicrystalline Silicon Cells (also known as Polycrystalline Silicon Cells) are cheaper and easier to manufacture than Monocrystalline Silicon cells, making them a more affordable solar panel option, but they are less efficient. Passive solar is when you capture the sun’s energy without the use of a collector (photovoltaic cells/solar thermal), such as large south facing windows to capture heat, and insulation to regulate heat loss. The Payback Period is the time is takes to recoup your investment in your solar panels, via electricity and heating cost reductions as well as through financial schemes, such as the feed-in tariff. A Permitted Development is a modification or change to your property that does not require planning permission or approval. Solar panels generally fall within the parameters of a permitted development, however there are a few exceptions. What are Photovoltaic (PV) Cells? Photovoltaic Cells are thin layers of semi-conducting materials (normally silicon) that generate a direct current when exposed to light. Solar Photovoltaic Panel systems are created by connecting multiple PV cells. What is a Pressurised System? A Pressurised System is a thermal hot water system, that pushes water through a solar panel, where is it heated by the sun’s energy. The heated water then passes through a heat exchanger, which transfers the heat on to the water in your hot water cylinder. This separation with a heat exchanger allows pressurised systems to use antifreeze. What is the Renewable Energy Consumer Code (RECC)? The Renewable Energy Consumer Code (RECC) is a consumer code that microgeneration installers and manufacturers agree to as part of MCS certification, and it contains standards of service that must be adhered when dealing with clients. The Renewable Heat Incentive is a financial support scheme that is paid to properties that generate renewable heat, such as solar thermal, heat pumps and biomass boilers. A Solar Array refers to a number of photovoltaic panels laid out in series and connected together to create a single electrical output. Silicon Cells is a generic termed commonly used to refer to photovoltaic cells, as most solar PV panels contain silicon semiconductors. 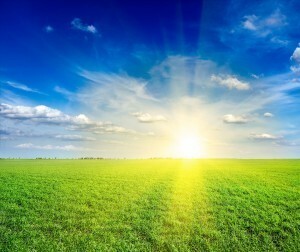 A solar panel is a device used to harness the sun’s energy and convert it to either power or heat. Solar panels can include solar thermal panels for heating water and solar photovoltaic panels for electricity production. What is Solar Thermal (ST)? Solar Thermal (ST) is when the sun’s energy is used for heating purposes, including solar hot water or solar cooking. Solar Tiles are photovoltaic cells that are smaller and are designed to appear as a tile or slate for your roof. They are costlier, but have a less disruptive finished appearance. They are best used for new builds or properties having a complete roof replacement. What is the Solar Trade Association (STA)? The Solar Trade Association (STA) is the leading trade association for solar power and solar heat applications in the UK. Solar Water Heating refers to the process whereby water is heated as it is pumped through a solar panel, which transfers the sun’s heat to the water. What is a Thermal System? A thermal system is a solar system that uses the sun’s energy to heat water in evacuated tubes, solar water heaters, flat plate solar collectors or other solar water heating systems. These systems are used to heat the water in a property or building. 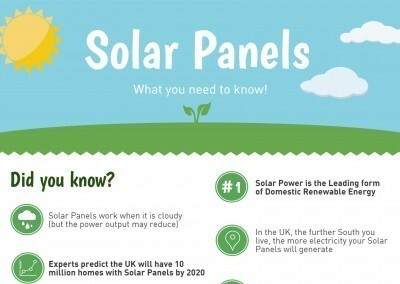 Now you know all of the important Solar Panel Jargon, why not check out our fun infographic on what you need to know about solar panels! 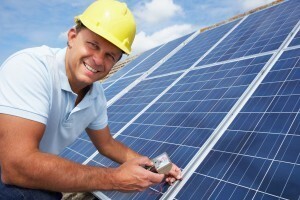 Want to get a great deal on your solar panels?